Crazy Times Two for A&F Nominations. "Mabel's not crazy... She's unusual -- she's not crazy. So don't say she's crazy. This woman cooks, sews, makes the bed, washes the bathroom. What the hell is crazy about that? I don't understand what she's doing. I admit that...But I think I know..."
The words, spoken by Mabel's husband, Nick, are to a particular situation at the beginning of A Woman Under the Influence -- but they might generally be applied to their married relationship as a whole. Mabel, played by Gena Rowlands (Oscar nominated for Lead Actress in 1974) is in a state of serious emotional and mental deterioration, spiraling out of control and sometimes scaring those close to her. What she suffers from exactly is hard to say. On some level she knows she's "wacko," as she says to Nick. But she wants to please, she wants to do right -- she aims to be the best wife, mother and friend that she can be. Only she can't get it right, try as she might, because at the core she is, as they've both said, "Wacko." Peter Falk as Nick, the husband filled with love in spite of her regressive state, is also incredible in this devoted yet volatile performance. Nick is warm and affectionate when Mabel goes off the deep end, and even when he loses his temper (and who wouldn't with her? ), he forgives and believes and trusts that she'll do better next time. The way he looks at her with endearing amusement, even as he knows in moments that she's nuts, is a look that might define a kind of definition of true love. Their three kids aren't old enough to know they're dealing with a mom who is "off." When she asks how they see her, one of the boys pipes up: he sees her as "smart, and pretty -- but nervous." 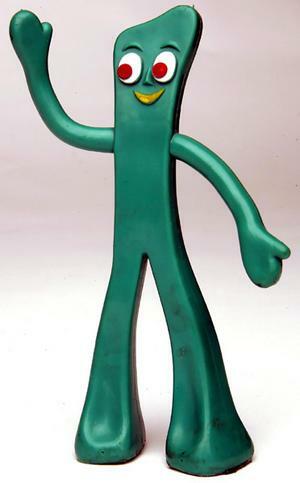 With a mom like this, from a child's perspective, she might actually seem like the liveliest, coolest mom on the planet. Mabel's still got a few years before they'll be embarrassed by her behavior -- but there's not a parent in the world who won't have to deal with that. As her state deteriorates, Mabel's actions throw the family into chaos. Nick goes from loving Mabel through all of her weird ticks and odd displays, to realizing she's no longer fit for a guardian in the home. After Nick and his mom come home to naked children in the house and a stranger in the bedroom upstairs, they place a call to the family doctor. In the doctor's presence Mabel completely unravels (and these are the scenes where Rowlands truly leaves her mark) -- unraveling partially from the fear of being committed, and also because she knows she's lost Nick's faith. She goes from trying to fight through this bug in her brain, to being aggressive and scornful, defying logic with hisses, and yet begging to stay with her children. At this point anyone can see she's too out of control to stay at home. Her actions, not her heart, seal her fate to an institution. And when Mabel goes away, Nick learns that sometimes madness is a learned behavior. Madness, in this film, is treated in a thoroughly humane way -- we see the real person in the struggle, the soul that wants to survive. Mabel's strongest desire is to be normal for her kids, for the people around her. She wants nothing more than to come to terms with her health crisis. When she suffers, we see her fight through the affliction, trying to be and do right, trying to love and desperately trying to not be socially awkward -- all the while teetering on the edge of a nervous breakdown. She'll be locked up for six months and Nick will have to find other ways to take care of the kids. This is an incredible film about how mental deterioration affects not only the afflicted person, but how it affects the family as a whole. 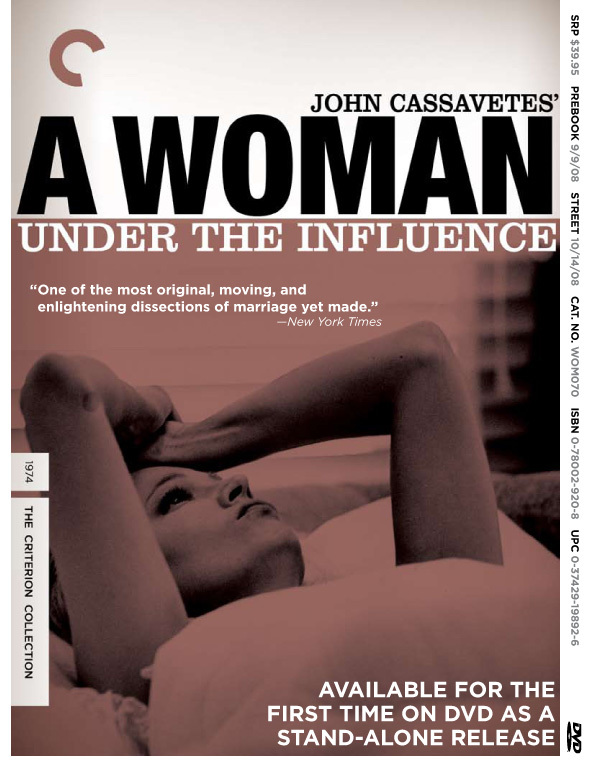 John Cassavetes was inspired to write A Woman Under the Influence when his wife Gena Rowlands expressed a desire to appear in a play about the difficulties faced by contemporary women. His completed script was so intense and emotional she knew she would be unable to perform it eight times a week, so he decided to adapt it for the screen. When he tried to raise funding for the project, he was told, "No one wants to see a crazy, middle-aged dame." Lacking studio financing, Cassavetes mortgaged his house and borrowed from family and friends, one of whom was Peter Falk, who liked the screenplay so much he invested $500,000 in the project. The crew consisted of professionals and students from the American Film Institute, where Cassavetes was serving as the first "filmmaker in residence" at their Center for Advanced Film Studies. Working with a limited budget forced him to shoot scenes in a real house near Hollywood Boulevard, and Rowlands was responsible for her own hairstyling and makeup. Upon completion of the film, Cassavetes was unable to find a distributor, so he personally called theater owners and asked them to run the film. 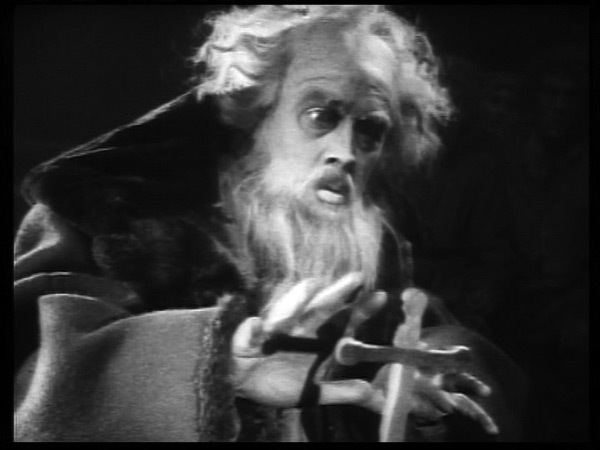 According to college student Jeff Lipsky, who was hired to help distribute the film, "It was the first time in the history of motion pictures that an independent film was distributed without the use of a nationwide system of sub-distributors." 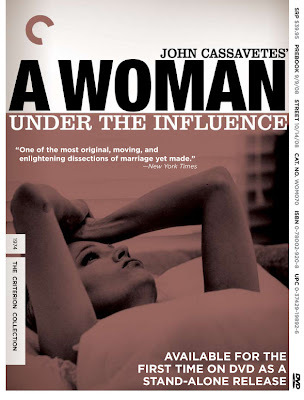 It was booked into art houses and shown on college campuses, where Cassavetes and Falk discussed it with the audience. It was shown at the San Sebastián Film Festival, where Rowlands was named Best Actress and Cassavetes won the Silver Shell Award for Best Director, and the New York Film Festival, where it captured the attention of film critics like Rex Reed. When Richard Dreyfuss appeared on The Mike Douglas Show with Peter Falk, he described the film as "the most incredible, disturbing, scary, brilliant, dark, sad, depressing movie" and added, "I went crazy. I went home and vomited," which prompted curious audiences to seek out the film capable of making Dreyfuss ill. Which very much characterizes the intensity of this story. I've read elsewhere about Cassavetes, the signature style he brings to his films -- the "auteur" idea, in which you know you're viewing a Cassavetes film simply by watching it. This being my first experience with the deceased director, I can't say at this point that I see more than just an excellent film with bold performances, made in the mid-70s. I did notice a particular style in the way the camera likes to move -- unexpected, sometimes catching you off guard, with various angles and tilts thrown in for surprising emotive power. Unrestrained edits, too, allow these bold movements an even greater degree of surprise. I'm wondering whether I'm onto the Cassavetes style by seeing this. I'll look forward to tracking down more of his films to find out.